Twisted Tales Not to Be Read at Night! To sleep, perchance to dream . . . of horrors! Here are some of the stories that gave their own authors nightmares—things that go bump at night, hauntings that lurk in the back of the mind, skin-crawling moments between the realms of wakefulness and sleep. In this somnambulistic collection, award-winning editor Stephen Jones asks many of the biggest names in horror fiction to choose their own favorite stories and novellas which, for one reason or another, have been unjustly overlooked or ignored. From Hugh B. Cave’s 1930s “shudder pulp” tale to Ramsey Campbell’s stunning novella of barely concealed hysteria and grim black humor, these are the “forgotten” stories ripe for rediscovery, by such acclaimed authors as Poppy Z. Brite, Basil Copper, Harlan Ellison®, Neil Gaiman, Caítlin R. Kiernan, Joe R. Lansdale, Tim Lebbon, Tanith Lee, and Michael Marshall Smith. Be warned: do not try to read this book at night, because these superior horror stories—both supernatural and psychological—will leave a lasting chill down your spine long after you have put it down, shut off the lights, and ducked under the covers. As you try to get off to sleep, who knows what dreams may come . . .? "The anthology gathers best or rare stories from a roll call of genre greats including Harlan Ellison, Basil Copper, Hugh B. Cave, Dennis Etchison and Tanith Lee. . . . There is no doubt that Stephen Jones is one of the very best anthologists working in the horror and fantasy fields now or in the past. . . . I continue to look forward to each new volume that he publishes. 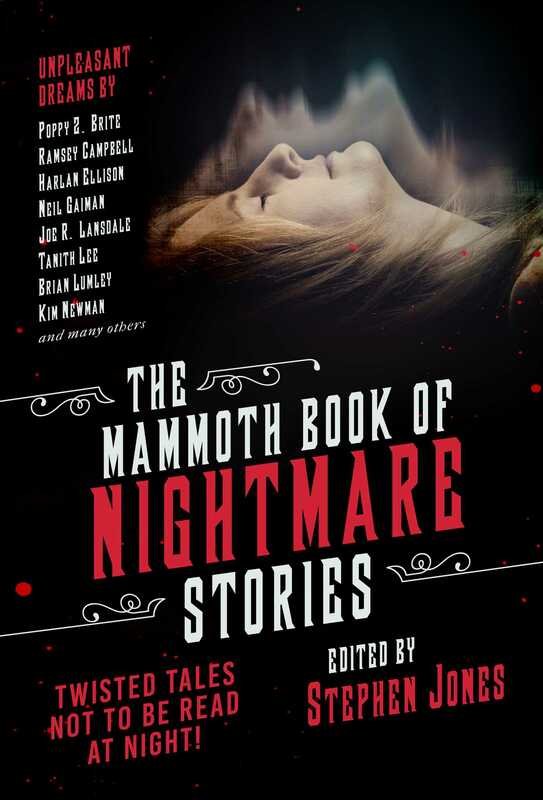 The Mammoth Book of Nightmare Stories is no exception. I highly recommend it to both seasoned adventurers in the horror genre who may uncover new delights from their favorite authors to newcomers who will find examples of the very best between its pages."